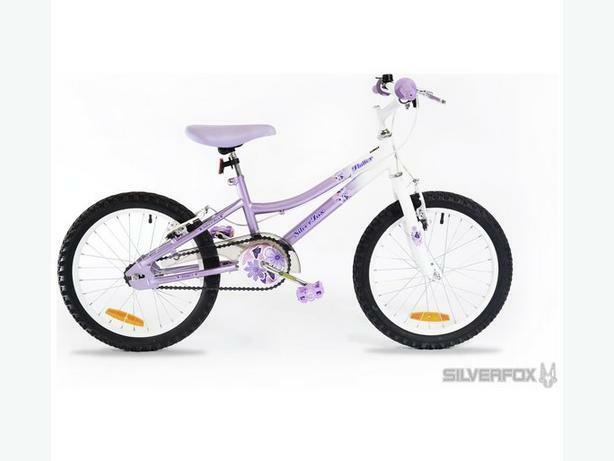  Log In needed £55 · SilverFox Flutter 18" girls bike MINT CONDITION ! ! ! Selling my daughters's bike. Bought it last year as an Easter present in Argos for £119, it has been used only about 5 times last year and sitting in the garage since July last year - bought her a new one this year, because 18" was too small for her now. Retail Price in Argos this year is £99.99, so you can grab yourself a bargain.